Hurricane Florence has produced widespread flooding in North Carolina and South Carolina necessitating the need for emergency assistance and supplies. As FEMA begins to provide support to areas affected by the storm, commercial transporters will be needed to deliver much needed supplies. However, if you are planning to transport loads directly or indirectly with the Federal Emergency Management Agency (FEMA), you must exercise caution when hauling FEMA freight. Natural disasters present opportunities for transportation firms to help assist devastated areas with their relief and recovery efforts. Unfortunately, it also presents some unique challenges and concerns. What should you know about handling FEMA loads? Know your customer. Many of the FEMA loads are posted by large freight brokers with names that should be familiar to you. If you haven't worked with them before, make sure you check their credit. Only work with reputable brokers. Know what you should charge. You can make some money hauling FEMA loads by changing your pricing to adjust for this situation. Note that we are not advocating that you take advantage of others impacted by natural disasters. However, you should adjust your freight charges accordingly. When you're handling freight for emergency relief, you could be held over for long layovers and detention times, and you will probably leave with an empty trailer. These items should factor into your charges. Make sure layover and detention pay is included in the rate agreement. Your customer should clearly stipulate the layover and detention pay it the rate agreement. Also make sure you clearly understand how layout and detention pay will be calculated. Remember you'll see very attractive FEMA loads posted on load boards, which looks enticing. However, it could take days to get offloaded, so you’ll want to make sure you properly compensated for any delays or long layovers. 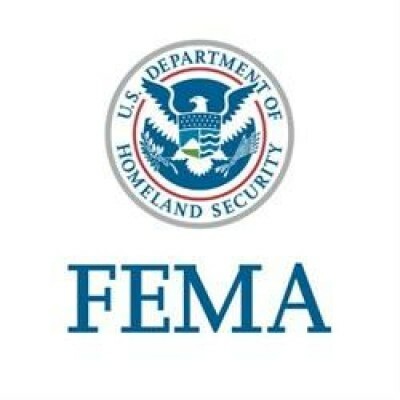 FEMA Loads do not pay quick. Government agencies are not exactly known for fast payment. Going indirectly through a reputable broker for your FEMA loads often ensures timely load payment. In addition, factoring can help you get paid right away. Safety first. Make sure you are safe and do not put yourself in dangerous situations. Remember you can’t help others if others are helping you. Safety should be your #1 priority. HOS rules are suspended for some FEMA loads, but it's not a sure thing. Verify all the rules before you take the load. FEMA loads provide a great opportunity for those carriers looking to aid and assist in recovery efforts as well as to earn additional income. If you are looking to haul FEMA freight, please be aware of our factoring policies regarding FEMA loads. *All Detention and layover rates must clearly be specified in the broker’s rate confirmation. Match Factors reserves the right to NOT fund brokers with questionable credit or an unspecified/undocumented detention time policy. Detention and layover will be verified with the broker. In cases where we are unwilling to fund the Detention Time or Layovers on FEMA hauled lauds, Match Factors will treat any received detention time money as non-factored and we will redistribute this money back to you. For questions on how commercial drivers can provide support for disaster recovery relief, contact Match Factors. on Monday, 17 September 2018. Match Factors, Inc. All rights reserved.